In an ever-darkening landscape of hate, prejudice, terror, and climate change, would you like to be a shining light for yourself and others to see on the horizon? Do you like the idea of recognizing your inner truth, living in the moment, and empowering yourself by co-creating something greater than your individual footprint can reflect? Do you seek faith in the Universe and in God where you have struggled to fit in the cookie-cutter mold of traditional religion? Then this tale of a modern-day witch may be a great place to start thinking outside the box. 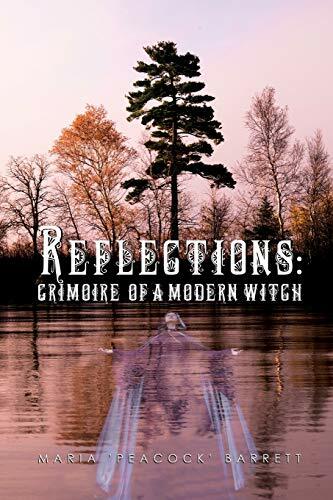 Wrapped in the cover of this book you will find a journey into alternative religion through the eyes of a Wiccan Priestess. By sharing her ceremonies, spells, and experiences, she opens up a world of Magick in which worshiping Nature, living in harmony with her fellow man and the diversity of the Universe, and communing with the Creator in a unique, genuine, and powerful way is more than just a dream. It is a reality that you can experience personally and joyfully. Take a step into the realm of Wicca with this fascinating read! Maria Barrett is a mother and grandmother who lives and works in Dayton, Ohio. She was introduced to Wicca in 1989 and has been practicing Wicca ever since. During the last 28 years, she has been a member of Lothlorien Nature Sanctuary, served as High Priestess for The Circle of Friends and The Temple of the Lord and Lady, and practiced with the Coven of the Misty Vale, an all-women's circle. She currently worships as a solitary practitioner and facilitates the Dayton Global Sisterhood, a group that meets monthly on the New Moon to link with others around the globe, promoting world peace and self-empowerment.